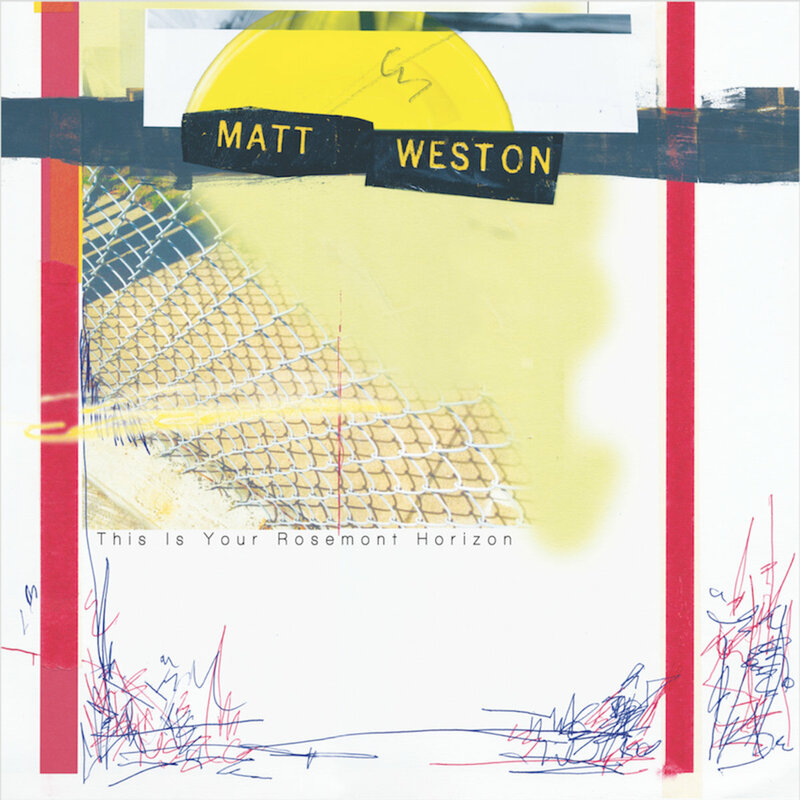 Brainwashed - Matt Weston, "This Is Your Rosemont Horizon"
Matt Weston, "This Is Your Rosemont Horizon"
Not long after bemoaning the lack of full-length releases from Matt Weston (following a string of excellent 7"s) he quickly announced This Is Your Rosemont Horizon, a full length LP of two side-long compositions. Following the patterns set forth in his singles, both are ever changing pieces rich with electronics, guitar, and of course unconventional percussion that shift and change with every minute that goes by, never stagnating or even sitting still, resulting in a fascinating suite of complex electro-acoustic composition and exploration. Even in the more limited single format, Weston’s pieces always shifted and evolved often drastically, even within the limited duration of the format. On here, with more time to work with this variability is even more pronounced. Matt's jerky glitch electronics that open "Special Apparatus for Coercion" lead the proceedings with a stammer; an off-kilter opening that sets a woozy mood for what follows. He punctuates the electronics with some heavy cavernous pulsations before allowing the remaining layers fully come into focus. Shrill scrapes are cast out above a layer of dramatic, tympani-like drumming, creating a sense of high drama and tension. Of course Weston is quick to switch things up, and soon he devolves the piece into a swarm of pitch-bent tones and roughly strummed guitar. This eventually transitions into a strange paring of tense, bowed strings and deep bass, two very different sounds that work perfectly together. Before finally concluding the piece he throws in some cheap, brittle electronics run through odd processing, cut-up voices, clattering bells, and eventually some big guitar riffs before dropping everything with an abrupt conclusion. For the other side of the record, Weston introduces "A Simple Machine Without a Machine" with shrill scraping sounds which leap out front. He eventually melds with uncomfortable guttural noises and sustained tonal drones, wonderfully juxtaposing layers of jerky, cut-up passages with elongated and sustained drones to excellent effect. Unspecific processed sounds are cast in an out and, despite its seemingly chaotic nature, the overall feel is that Weston allows a bit more breathing room here compared to the other side, although the tension is still palpable. Eventually he develops a junky sense of rhythm here, not unlike some of Merzbow's earliest works as the piece drifts off further and further into chaos. Eventually it becomes a pastiche of all sorts of sounds, vacillating between bent fragments of melody and free jazz freak-outs that mesh together wonderfully. Towards the end, the piece trails off to its inevitable conclusion, closing on an outburst of malfunctioning electronics and complex metallic drone. Compared to his recent single Searchlight Swings, This is Your Rosemont Horizon is a bit darker, a bit heavier, but no less amazing. It is distinctly the work of Matt Weston, but perhaps it is the time or setting, but there is a greater sense of desolation it would seem. However, he plays off this tension extremely well, weaving together idiosyncratic electronics and unconventional percussion like no other composer or performer does. It may not be as quirky as some of his other material, but the gravitas adds an additional asset to an already exceptional record.